A leaking pipe can sometimes be difficult to detect. 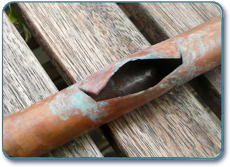 Leaks can occur in concealed pipework which could be under the house or in wall cavities, and may result in cracking of walls, rising dampness or subsidence of property. You may suspect a burst or leaking pipe if you are receiving higher than normal water bills or if your water pressure seems lower than usual. Markings on ceilings are another indication of leaks. 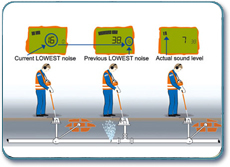 A simple way to check whether you may have leaking pipes is to turn off all the taps at your property and to watch your water meter – if it still moves after a few minutes then it is time to call Everlast Plumbing. Need a plumber to fix your leaking pipe? Call Everlast Plumbing on 02 9153 0000. Burst pipes require immediate attention as they can result in major damage to your property or business within a short period of time. At Everlast Plumbing we understand the importance of getting to your property quickly which is why we guarantee fast response and ensure your repairs will be carried out quickly and efficiently. Everlast Plumbing are the leak experts in the Sydney area. We have established a reputation for our prompt, expert, and efficient services in the Sydney wide area. Give Everlast Plumbing a call today on 02 9153 0000 for all your Sydney plumbing needs.